A-MAY-ZING FEMALE ADVENTURES AWAIT YOU ON NICKELODEON THIS MONTH! SINGAPORE, 4 MAY 2018 – This May, the spotlight is centered on the A-MAY-ZING female leads on Nickelodeon! 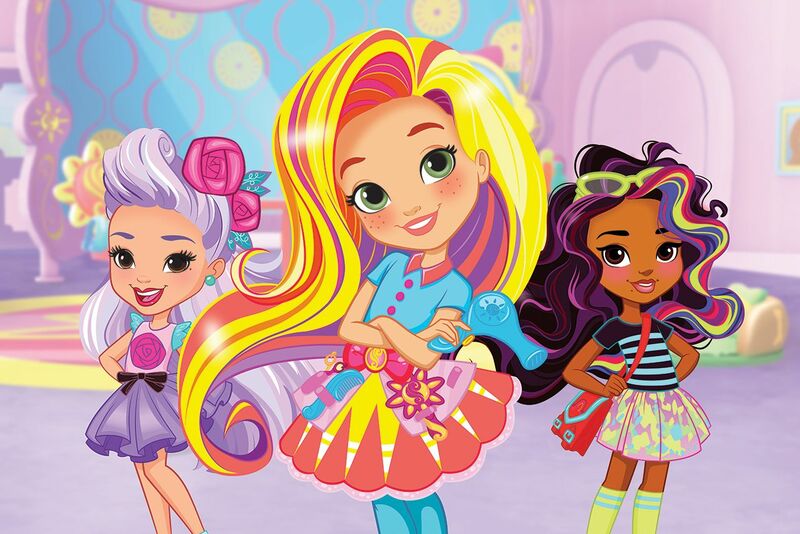 We kick off with hairstylist extraordinaire Sunny in brand new animated series, Sunny Day where Sunny and friends celebrate individuality and girl power as they use creative problem-solving skills to tackle dilemmas that arise in their seaside town. Female empowerment also goes up a notch with new adventures with the fearless heir to the throne in Nella the Princess Knight and the whimsical twin genies in Shimmer and Shine. HAIR WITH FLAIR SAVES THE DAY IN SUNNY DAY. Sunny is a confident and creative natural leader who runs a hair salon in the town of Friendly Falls. When adventure calls, the 10-year-old master hairstylist and entrepreneur sets out to save the day with her can-do attitude, salon-on-the-go Glam Van, best friends and colleagues, Rox and Blair, and her dog, Doodle. Sunny Day airs on weekdays starting Monday, 7 May 2018 at 9am (WIB), 9.30am (PH), 9.10am (SG) and 10am (MY). For hairspiration, Sunny Day Style Files is a digital extension that shows fun, live-action hairstyle tutorials narrated by Sunny, and are tied directly to the hairstyles featured in the episodes. In addition, new episodes of Nella the Princess Knight and Shimmer and Shine will go down a treat! Check out Nella the Princess Knight on Monday, 7 May 2018 at 8am (WIB), 8.30am (PH), 8.20am (SG) and 9am (MY); and Shimmer and Shine at 8.30am (WIB), 9am (PH), 8.45am (SG) and 9.30am (MY). 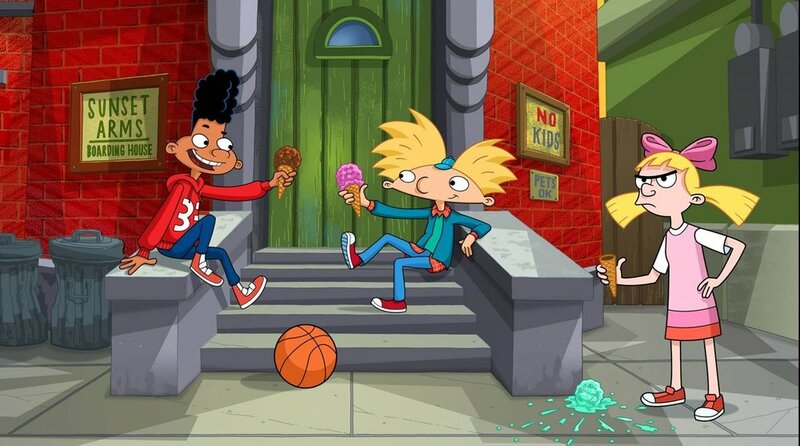 As a bonus, May also brings around the highly anticipated TV movie special, Hey Arnold! : The Jungle Movie. It will pick up where the original series ended, so that Arnold can finally get answers about the whereabouts of his missing parents. Set off on thrilling adventures with Arnold and his crew as they embark on a quest to achieve his dream of finding his missing parents! It’s a field trip of a lifetime! Join Arnold and his friends on their adventure as this feature length movie special will see them solve unanswered questions and resolve the cliffhanger as they work to uncover the whereabouts of Arnold’s missing parents. Lane Toran (original voice of Arnold) and Jamil Walker Smith (original voice of Gerald) will supplement the returning cast by lending their voices as Che and Paulo, two members of the boat crew in San Lorenzo, and Alfred Molina (Spider-Man 2) stars as resident villain, Lasombra. Hey Arnold! The Jungle Movie airs on Friday, 25 May at 6.30pm (SG/MY/PH), 5.30pm (WIB). Nickelodeon, now in its 39th year, is the number-one entertainment brand for kids. It has built a diverse, global business by putting kids first in everything it does. The company includes television programming and production in the United States and around the world, plus consumer products, digital, recreation, books and feature films. Nickelodeon’s U.S. television network is seen in more than 90 million households and has been the number-one-rated kids’ basic cable network for 22 consecutive years. For more information or artwork, visit http://www.nickpress.com. For more information about Nickelodeon in Asia, visit www.nick-asia.com. Nickelodeon and all related titles, characters and logos are trademarks of Viacom Inc. (NASDAQ: VIA, VIAB).